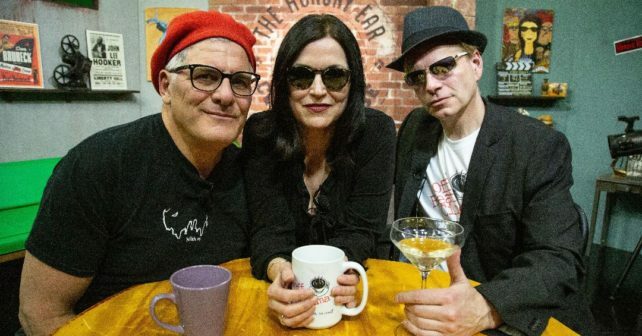 Watch as Theo, Zelda, and Bird present the good, the bad, and the foreign every Saturday night at Midnight on WBBZ-TV! 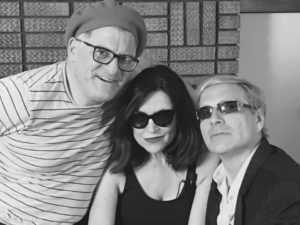 This week, the beatniks warn that you MUST wear your sunscreen to watch our campy drive-in classic! “Off Beat Cinema” began as a local program Halloween weekend 1993 with the broadcast of the late George Romero’s “Night Of The Living Dead” on Buffalo’s WKBW-TV. After a few years gaining a local cult following, the program went national in January 1997. The project moved to independent station WBBZ-TV in August of 2012. Currently, “Off Beat Cinema” is broadcast Saturday at midnight on WBBZ-MeTV; WGBT-MyTV in Rochester; in Corning/Elmira on WJKP-MeTV at Midnight, then again at 2am on WYDC-TV BIG FOX in the Twin Tiers; and Saturday night at 10p.m. (Eastern) on the Retro Television Network of stations across the country. “Off Beat Cinema” is one of the longest running television shows to be syndicated out of Buffalo. The background music for the show is performed by local musicians David Kane’s Them Jazzbeards. The program consistently supports Western New York musicians, artists, filmmakers, and organizations, giving them exposure on a national platform. Moving forward “Off Beat Cinema” is looking to host a film festival event at an area theater; more remote telecasts from Comicon’s and Western New York destinations shot in HD; and continuing to post programs on digital platforms. Viewers can connect with “Off Beat Cinema” online at www.offbeatcinema.tv and “Like” “Off Beat Cinema” on Facebook. You can follow the show on Twitter @OffBCinema. “Off Beat Cinema” also has a channel on You Tube. WBBZ is seen throughout Western New York over-the-air on digital channel 67.1. Ch. 5 on Verizon FiOS (HD 505); Ch. 5 Dish; Ch. 67 DirecTV, and these Spectrum Cable channels: Buffalo – Niagara Falls Metro area: Channel 5 (HD 1230); Batavia – Genesee, Wyoming, Orleans Counties Channel 71 (HD 1230); Parts of Erie and Niagara Counties Channel 71 (HD 1230); Dunkirk Channel 5 (HD 1230); Olean Channel 5 (HD 1230); Fredonia – Jamestown Channel 72 (HD 1230); Alfred- Angelica- Avoca- Bath- Bolivar Friendship- Hornell Channel 71 (HD 1230).